After his aunt Margaret Furniss died in 1996, John Furniss found a box of letters chronicling her life of dedication to the Scout movement. 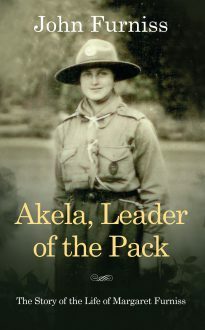 They have enabled him to piece together the story of a woman who devoted more than 70 years of her life to the Scouts, becoming an Akela Leader in 1948, being awarded the Silver Wolf award in 1964 for her services, and becoming Assistant District Commissioner for Wolf Cubs for Northamptonshire. Even in retirement Margaret continued to work tirelessly for the movement almost until the end of her eventful life.